I need some legos. We are supposed to build a pyramid in a couple of weeks and I tried it with mega blocks- it didn't even look like a triangle!!! Unfortunately, I'm not comfortable with legos while I have a baby in the house-choking hazard!! Guess I'll have to make a pyramid using plaster of Paris or something (sigh). I hate art materials. Hi there, thanks for stopping by today. I pray that tomorrow you will have a wonderful day that is filled with unexpected blessings. I thought at first you had snuck into my house and taken pics! 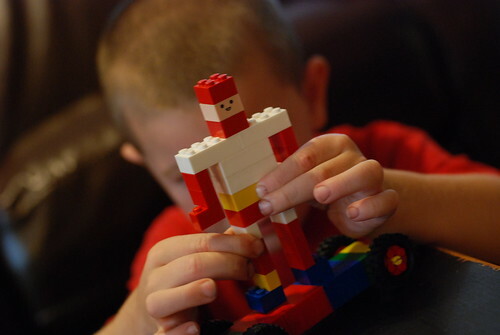 LOL My living room often has little LEGO pieces spread out while my boys are working on some new project. They play with them while I read aloud too. Ahhh..the joys of homeschooling! Only sometimes? 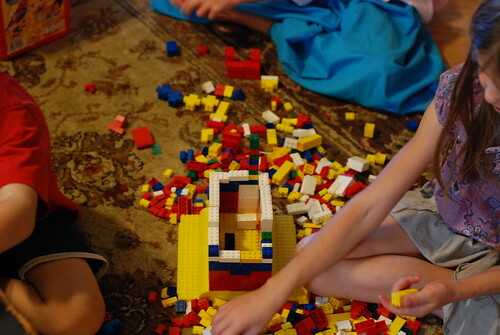 Legos are this home school mom's dream-come-true. 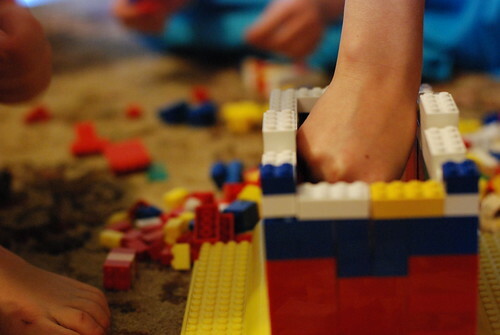 My older one can peacefully narrate if the younger one has Legos to play with.